Whether your website is hosted somewhere out there on the cloud or on a server running in a back-closet in your office, or somewhere in between, there are things that you, as the owner of the website need to know about how your host manages and looks after the asset that is your business website. Here are 6 questions that you need ask of your website host – even if that host is you. What Kind of Hosting Environment is My Site In? There are many different kinds of hosting environments. The first level of distinction is answered by being either 1) Dedicated, or 2) Shared. Dedicated generally means that the environment that your website is in is dedicated solely to your needs. The IP address is specific to you. The hardware and storage likewise. Shared means that many websites may be hosted in the same environment. In a shared environment, something that affects one website may impact other websites in the same environment. In dedicated environments there is at least 1 layer of separation between your site and other websites. So problems with other sites, such as performance, security breaches, or IP Blacklisting are less likely to affect you. While something sitting on a server in your closet is more or less “Dedicated.” That doesn’t mean there aren’t other applications running on that server. Just because something is “In the Cloud” doesn’t mean it is either Dedicated or Shared. Both of these options are available in many cloud based hosts. Likewise at hosts that operate their own data centers. There are also hosting services that blur the lines between the two. Virtual Private Server (VPS) environments are dedicated resources in a virtual environment with multiple tenants. But that’s a conversation for another day. Where is/are the server(s) that host your website located? 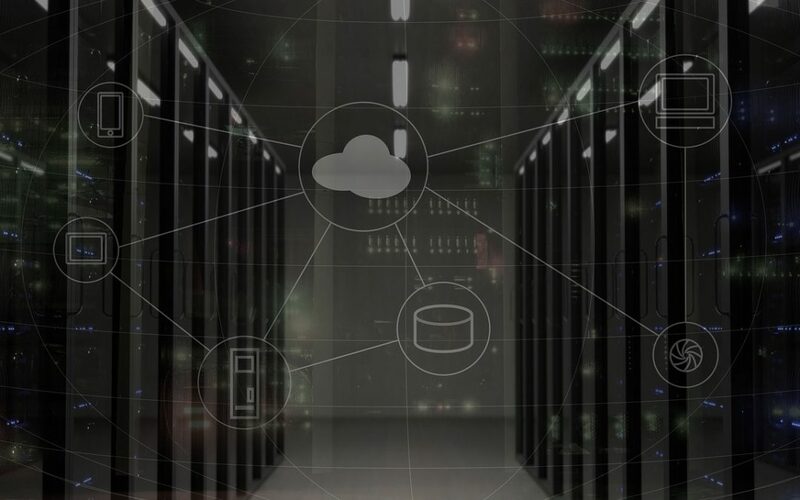 If you are asking this to yourself, because the website is hosted on a server that is located on premise, it may be time to consider making the move to the cloud. Does your facility have the infrastructure to keep your website presence up and in front of your customers even when the power goes out, the internet to your office gets cut, or what happens in the event of a fire or flood? Most businesses don’t operate a data center that is equipped to handle these kinds of occurrences. They don’t, because they aren’t in the data center business. This really doesn’t even start to touch on concerns about manpower and the skills of your employees. Do your employees have the skills necessary to keep your sever infrastructure operating? How old is the infrastructure? If something happened to your employee would somebody else be able to take care of the infrastructure and data on it? This isn’t just a question of your facility. Is it sitting on a server in the garage of the person who built the website for you 5 years ago? That may not be any more reliable. Make sure your website is in an environment that gives it every opportunity to communicate, even if circumstances may make it difficult for you to do so. The facility should have redundant internet connections and generators to keep the power on and the connection open so that your website can work, even when you can’t. If you are hosted in the cloud, it’s also a good idea to have a host that operates a server farm in an area that is at least somewhat geographically related to your website audience. For a primarily US audience, a host with facilities in North America gives you the best performance. But wouldn’t have the same performance for an audience in Europe or Asia. Backing up your website is just as important as backing up your computers. Hardware fails. It happens to servers just like it happens to desktops. So even if you are sitting on a dedicated server inside a well designed data center, if a hard drive were to fail, how much effort would be needed to move your website, even to a server sitting right beside the one you are currently on. Back-ups have to exist to make that transition. Backups don’t do you any good if you are working from a backup that was made months ago. That would be like rolling back the clock on your website. Posts, products, comments, orders, software updates, any activity on your site that had occurred on after the moment of the backup would be lost. Where Does the Backup Sit? Many hosting servers make backups that site right beside your active site on the server. For many common problems these are fine. They will have you back up and running from a corrupted plugin update. But would that help you in the instance of a malware attack on the server or failed hardware? If you can’t access the server, you can’t access the backup. Just as a backup of your computer sitting in the office wouldn’t be of much use to you if it burned up in the same fire that destroyed your computer, a backup sitting on the same server is just as useful as no backup in certain circumstances. Many website hosts resolve this problem by spreading sites across a range of hardware so any single failure can easily be handled. Do You Have Access to the Backups? You may not have the technical knowledge to know what to do with the backups. But it’s a good idea to have access if possible. What happen when you go to a restaurant that keeps getting your order wrong? Do you keep going back? You really need to think about your hosting the same way. Even though it is a lot more work than not going to a restaurant, if you have access to the backups, at least you have the option to take your website to a new host. This is of course assuming that you are on a CMS like WordPress that is portable. If your website is built on many of the turnkey builder/hosts products out there, like Squarespace, Wix, Weebly, etc. your website is not portable and having access to the backups would not gain you anything. Even if the backups are only local. Having access to the backups at least gives you options. Including the options to keep a copy of the backup somewhere else. How Do You Protect My Website From Problems Created By Other Websites You Host. Chances are good that if your website is hosted in anything other than a 100% dedicated server, either at your location or in a server farm, that it is in an environment that has other websites on it. This means that their activity can indirectly or even directly impact your website. Traffic spikes at another website could cause performance issues for anything on the same internet connection. Security problems can cause performance across a cluster of shared environments. IP addresses can be blacklisted because of problems incurred by another website. You should know what the capacities of your host are and what policies and procedures they have in place (if any) to detect and deal with concerns that may arise. Hosting is very much a “You Get What You Pay For” service/product. At $5 or $10 per month, you probably don’t have dedicated space with off-site backups. So it really is a question of where you place the value of security, up-time, and portability when developing a budget. This isn’t a one time conversation. This is a conversation that should occur from time to time so that you know what is changing with your host and know whether your priorities for items like up-time, security and budget are inline with your hosts offerings. MS Digital Solutions offers managed shared hosting as well as resells and manages dedicated hosting environments for clients on Support/Maintenance packages. To learn more about these options and if they may be a good fit for your business’ website, contact MS Digital Solutions Today.